When transporting our horses to a new place, we make sure our horses are traveling safely; they are dressed in shipping wraps, given fresh hay to help reduce their stress, and transported in trailers that are secure. On top of all we do, we must keep in mind that biosecurity, protecting our horse’s health, is part of keeping our horses safe too. With show season just beginning, horses are traveling to different barns; being exposed to new environments and new horses. While shows and clinics come every season with excitement and fun, they have always come with the risk of exposing horses to possible diseases. It is important to reflect on bio-security practices this season and ensure that our horses are adequately protected from harm. 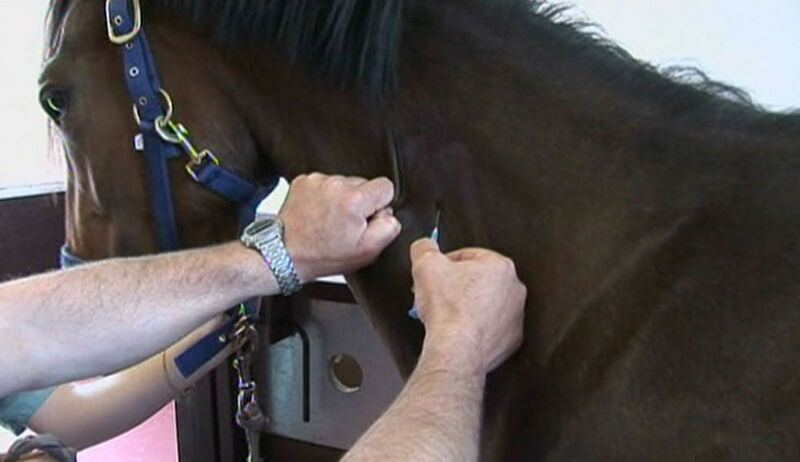 No one wants to see a local outbreak occur, so it is important that event officials, staff, owners, trainers and veterinarians work together to provide the safest experiences possible. 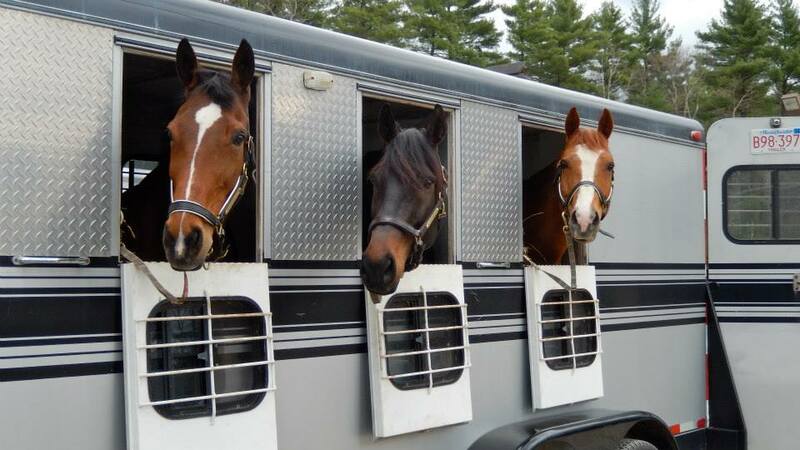 For travel to and from events, you should try to use your own trailer and, if that isn’t possible, make sure that the trailer you are using to ship your horse has been disinfected. Keep overnight stabling areas clean as well. Leave these areas properly stripped and disinfected upon your departure in order to help ensure a safe experience for the next competitor! It is advised that owners try to avoid letting their horses interact with other horses they are not normally around. According to the USDA, letting your horse interact with others closely could allow germs to be spread. You should specifically prevent nose-to-nose contact between horses. In addition, it is important to wash your hands after helping other people with their horse and you should avoid letting strangers pet your horse. 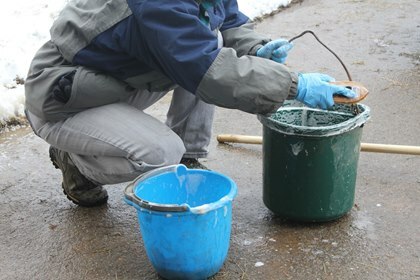 Equipment can also be a source of harmful contaminants. Owners should bring their own equipment while showing. Borrowing items such as water or feed buckets, sponges, or brushes, can lead to the transfer of contagions. Showing in the summer can be hot and tiring and people often reward their horse with a refreshing drink of water. Communal water sources should always be avoided. While filling a bucket, you should hold the hose above the water instead of letting it sit in the drinking water, to reduce the risks of cross-contamination between buckets. Before leaving for a showground, it is important to confirm your horse is feeling topnotch. Check your horses’ temperature before you hit the road; it should range from 99-101°F. If you find anything out of the ordinary, it is best to stay home and tend to the health of the animal. “If you have good stable management knowledge, you know that [by] making sure your horses are vaccinated every spring and fall and de-wormed accordingly, you are giving your horses the best possible chance to stay healthy and be a competitor at horse shows,” advises Smith. The people in charge of organizing these events care about your horse’s health and create rules in order to protect it. Before you leave for a show or clinic, check what paperwork the event you are going to requires and make sure you have everything in order. Many shows, including CRDA, require a Negative Coggins report, which confirms that a horse is free of a virus known as EIA. By attending events that require and monitor these items, you are ensuring that other horses in attendance are free from some of the more serious illnesses. No need to panic because you have heard from someone that a horse somewhere may have something. Rumors and misinformation can be as harmful as a disease itself. You don’t want to miss out on a great opportunity based on hearsay. If worried about anything you’ve heard, always check with local officials. Your veterinarian will be able to give you the best advice. 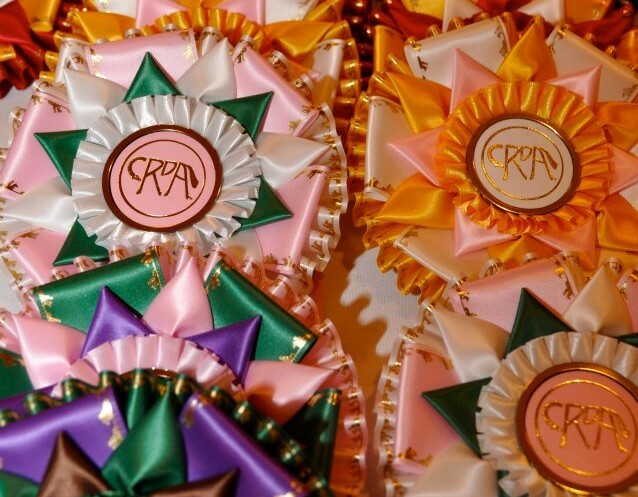 Horse shows are meant to be a place for fun competition, a place to show off your skills, to learn something new, and to gain experience. This season, let us all do our best to keep all of our horses in top shape and enjoy a great show season.